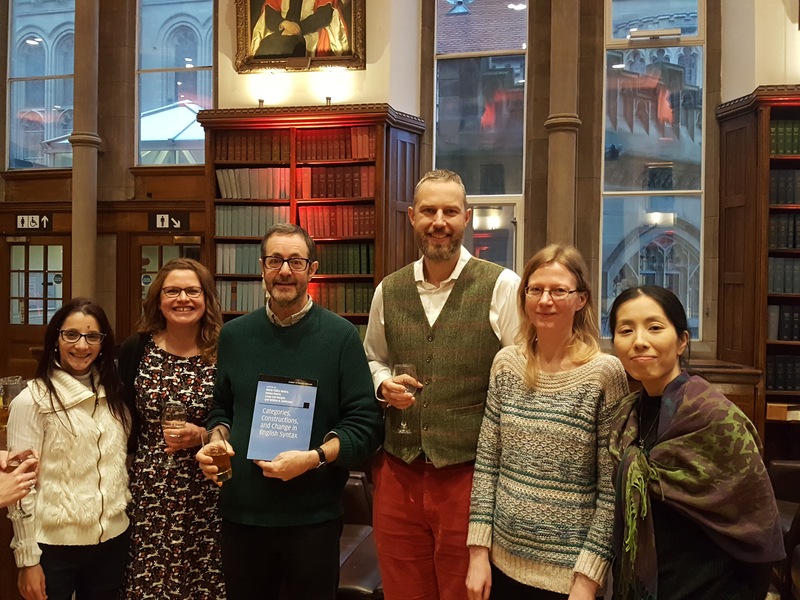 On Friday 18 January we celebrated David Denison’s remarkable career in English Language and Linguistics with a reception at Christie’s Bistro. David – inspiring colleague, supervisor and friend to many of us – was presented with a pre-publication copy of the volume collected in his honour Categories, Constructions, and Change in English Syntax, edited by Nuria Yáñez-Bouza, Emma Moore, Linda van Bergen and Willem B. Hollmann, with the assistance of Ayumi Miura, to be published with Cambridge University Press (2019). Cheers to David!